Before you know who to include, it’s important to know how they should be included. The decision-making process can be easily split into two phases: the Evaluation Phase and the Deliberation Phase. Both of these phases are, for the most part, situation-independent. Whether the board reaches an informed consensus as a group or charters an ad hoc committee to conduct further research, the decision-making process remains largely the same. In the Evaluation Phase of decision-making, board members should be focused on three things (1) gathering information, (2) turning that information into ideas and solutions, and (3) evaluating the implications—positive or negative—of those ideas. Do not debate anything in the Evaluation Phase. We can’t stress it enough. If the board of your bank gets tied down by hurt feelings early on, it’s going to drag the rest of the decision-making process down with it. The Evaluation Phase is all about objectivity. Subjectivity in the Deliberation Phase should be kept to a minimum, but has less of a chance of derailing the outcome. If board members can commit to squashing out all aspects of debate the second they start creeping into the conversation, the Evaluation Phase becomes infinitely more valuable. Why? Because group size becomes less of a concern when the group’s sole purpose is leveraging expertise and synthesizing it into actionable ideas. When managed correctly, there’s theoretically no limit to the number of people a board may choose to involve in this stage. Theoretically. That said, our focus here is on identifying whose input to prioritize in the Evaluation Stage (before things get out of hand). In the Deliberation Phase of decision-making, the focus should be on coming to a consensus in support of one or more of the ideas synthesized in the Evaluation Phase. The ideas are laid out before the board. For each, board members weigh the projected benefit of each idea against the negative implications and cost of implementation. But acting in the best interests of the bank doesn’t always paint a pretty picture for its staff. The more that hinges on a board decision, the more likely it will be for emotion to make its way into the conversation. That’s why the makeup of a group at this stage is both limited in size and vitally important to producing the best possible outcome. To recap, the Evaluation Phase is about prioritizing who to involve when you could involve anyone. The Deliberation Phase is about identifying the people who can’t not be involved. Board members should try to limit the group responsible for decision-making to no more than ten people. Why ten people? Check out our article on the Two Pizza Rule to find out. However, limiting the number of people involved in making a decision is not the same as limiting the number of people informing it. In “Fast Facts on Board Bias”, we discuss the benefit of starting the decision-making process with a larger group. This creates an opportunity for board members to gather a diverse range of opinions in the Evaluation Phase before shrinking to a smaller group in the Deliberation Phase. In the Evaluation Phase, the limiting factor to group size is the number of people a board can manage gathering input from before that input becomes “noise”. Fortunately, there’s no shortage of techniques to maximize the effectiveness of communication amongst those involved. The deliberation stage is where the Two Pizza Rule comes into play. Ten people should be viewed as the hard cap for group size as research suggests a steep decrease in collaborative effectiveness with each additional person. Take this into account when chartering committees. The fewer people, the better. Opening up the discussion phase of decision-making to a larger group leaves room for gathering insights and ideas from those who are highly qualified to weigh in on the issue in question. Boards who need to lean heavily on expert opinions may also consider conducting a Delphi study. As a best practice, banks should limit involvement in the decision-making process to those with expert knowledge and the board members required to vote on the matter. No one involved in decision-making should be there due to friendship alone. Abstract knowledge — Someone with extensive knowledge of the most common cybersecurity risks. Applied knowledge — Someone with years of experience installing corporate cybersecurity systems. Comparable experience — Someone on the board of a company that recently implemented cybersecurity technology. Direct involvement in the outcome — Someone working for the bank who would be directly involved in implementation. Each form of expertise adds unique value to the decision-making process. These are the types of people boards should involve in the Evaluation Phase. 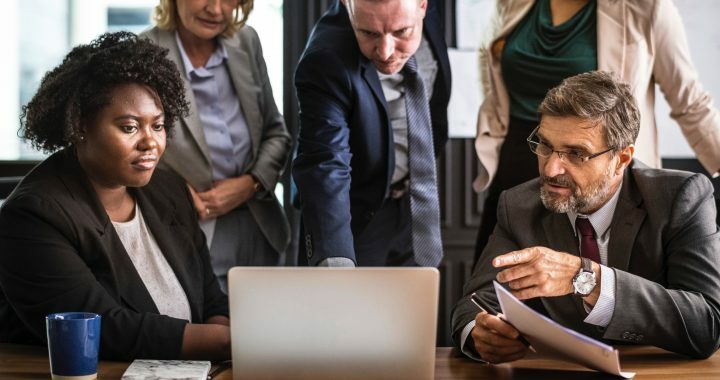 Of the four types of expertise listed above, a board should consider including those with direct involvement in the outcome as it moves into the Deliberation Phase. Banks should gather a broad mix of employee opinions when evaluating ideas. This mix should include employees from multiple departments. Doing so reduces the risk of a decision disproportionately impacting one subset of the staff without the board’s knowledge. Input must also come from employees at various levels of seniority. The more subordinates a senior-level employee oversees, the less qualified they are to provide an accurate representation of the day-to-day activities a decision stands to influence. While the input of subordinates is often more valuable when evaluating ideas, there is often more hesitation amongst these employees to offer an honest opinion. Implementing an anonymous system for gathering employee insights is the best way to promote candor. Banks often undervalue the concept of balance when choosing who to include in decision-making. Failing to maintain a balanced group can result in the outcomes of decision-making being heavily tainted by the unchecked biases and misperceptions of its members. Boards tend to only include the most senior-level bank employees in the decision-making process. However, varying the seniority of staff members allows the board to more effectively gauge the collective response of bank employees to the outcomes of decision-making. It also presents board members with the opportunity to evaluate insights they might otherwise overlook. Boards should also take the history or “track record” of a group into account when balancing groups. Board members who have deliberated together in the past are often more effective when deliberating on future decisions. Groups who have worked together before have likely gotten over the speed bump that is the fear of hurting each other’s feelings. There’s no time to tiptoe politely around one’s concerns during the deliberation phase. While a shared history of deliberation can benefit a group, it’s also possible for group members to become too comfortable working together. Including one or two “new” voting members can keep biases such as groupthink in check. Let’s talk about the small group; the decision-makers. Not everyone included in the Deliberation Phase needs to be a voting member of the board. However, because decision-making effectiveness decreases as group size increases, prioritizing the inclusion of non-voting members is crucial. As we said before “the Deliberation Phase is about identifying the people who can’t not be involved”. The majority should include board members with a history of deliberating together. The minority should serve to keep any biases amongst the majority in check. This may include board members who are new to a committee or to the board itself. Anyone whose expertise (as categorized above) is absolutely required to to reach an informed consensus. Deciding who to include in the decision-making process isn’t easy, but we’re hoping we’ve left you with a better idea of who to prioritize when assembling a group. If you did find this helpful, consider scheduling a demo of Directorpoint’s secure board management platform. Find out how we’re building boards you can bank on today! Posted in Blog and tagged advisory board, better decision-making, board of directors, Decision Making.